Many tablet-based data gathering systems are Web enabled Mobile Systems. 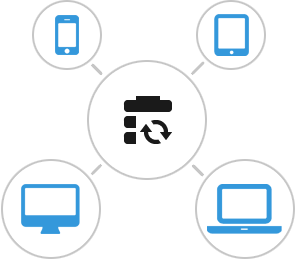 Our systems are designed to work on any tablet (iOS, Android, Windows 8), through the upload and download of data into / from Cloud-based Systems. Availability of signal is addressed by data being cached until signal is found. This is the most effective way of dealing with big data on mobile systems.